We’re excited to announce we have just completed our first space-based ADS-B flight tracking test in cooperation with Airbus Defence and Space and GomSpace. 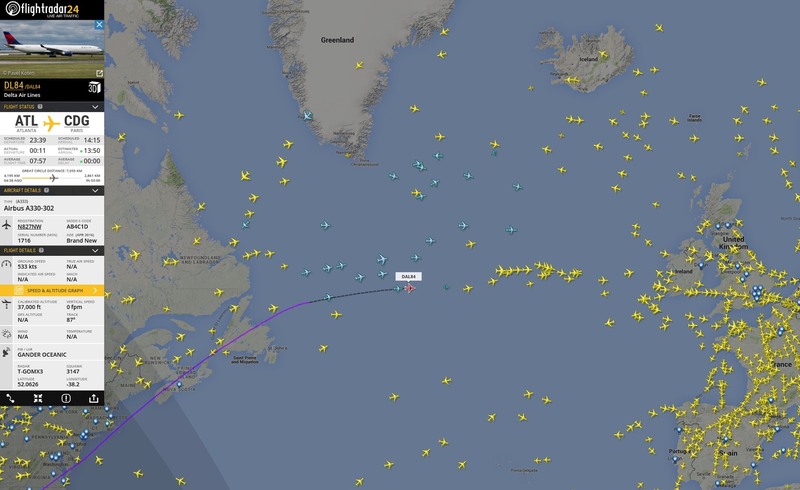 Using the GOMX-3 satellite we collected ADS-B data from flights transiting the Atlantic Ocean outside our terrestrial coverage area and integrated that data into the Flightradar24 network, a first for any commercial flight tracking service. 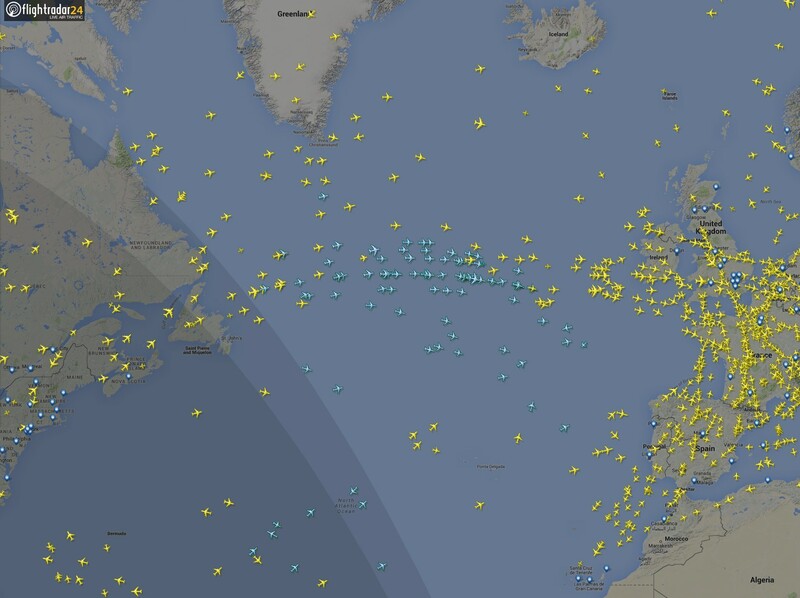 This successful test is the first step towards integrating satellite-collected ADS-B data into our network and brings us closer to our goal of global ADS-B coverage. We collected data via the GOMX-3 nano-satellite, a collaboration between GomSpace and the European Space Agency launched in October 2015. 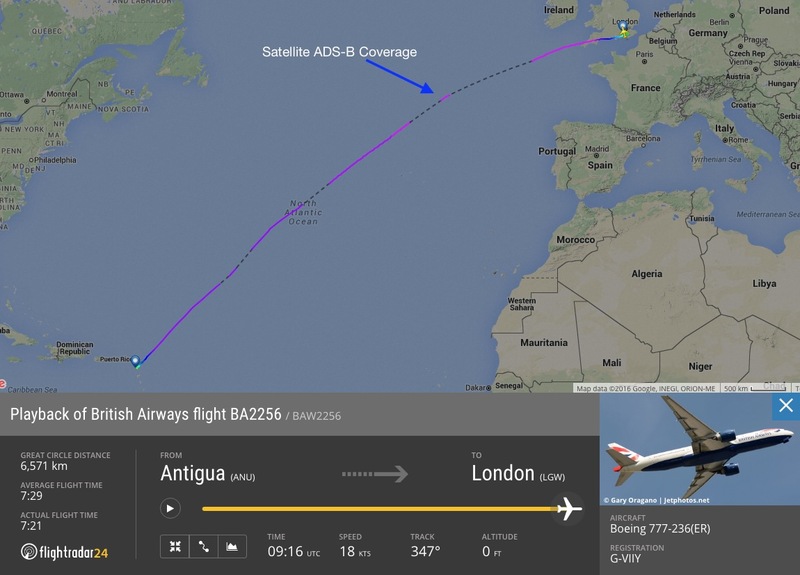 Data collected by the satellite was transmitted to a ground receiver and processed at the Airbus Defence and Space ground segment, before being combined with schedule and route information, and displayed on Flightradar24. The GOMX-3 satellite orbits the earth approximately every 90 minutes at a speed of 27440 kilometers per hour, giving us a small window to capture data and download it from the satellite as it transits from southwest to northeast across the Atlantic Ocean. From the first two passes over the Atlantic Ocean, we received positions from 192 aircraft. Flights tracked during the first of three passes of the GOMspace GOMX-3 nano-satellite. Satellite-tracked flights are in blue. Flights tracked with the GOMX-3 satellite were noted in blue icons and with the T-GOMX3 radar code. 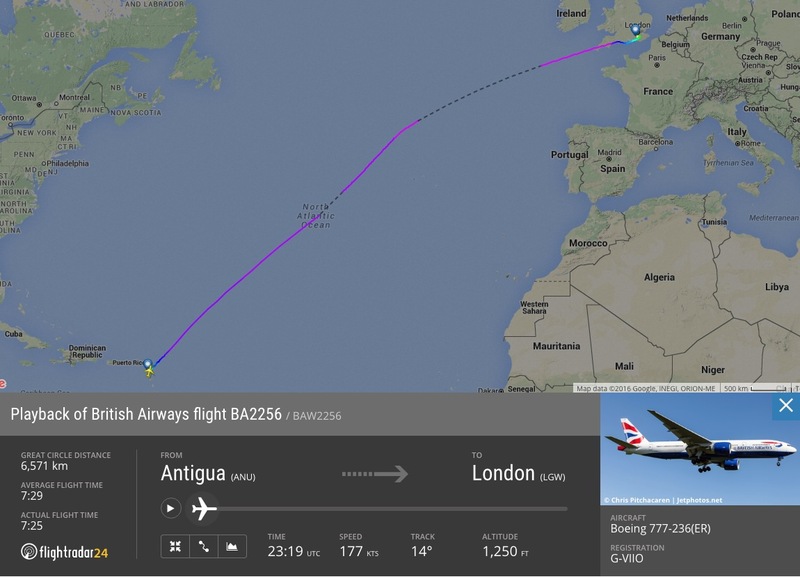 Note the added coverage of British Airways flight 2256 from Antigua to London as compared to previous flights. 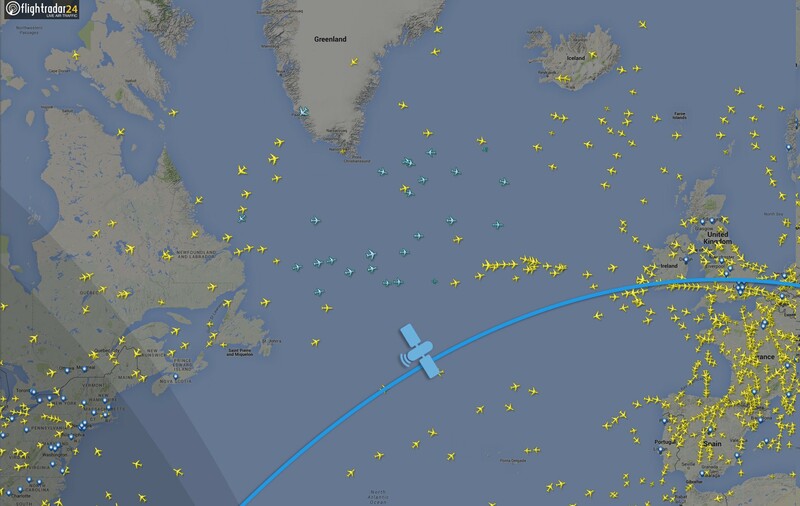 British Airways flight 2256 with satellite ADS-B coverage in the North Atlantic during the first pass of the GOMX-3 satellite during our tests. The area of satellite coverage for a single pass is limited, but the data we’re collecting is vital to expanding satellite ADS-B coverage in the future. This test provides a plethora of useful data for future efforts as we work to take advantage of space-based ADS-B tracking. As we continue our work with our partners like Airbus Defence and Space and Gomspace to expand our efforts, we’re confident that satellite-based ADS-B coverage will play a major role in helping eliminate flight tracking gaps around the world. If you missed the live tests, you can replay them with Global Playback on our site.